DISCLOSED AND HOW YOU CAN GET ACCESSTO THIS INFORMATION. PLEASE REVIEW IT CAREFULLY. Get a list of those with whom we’ve shared information. You can ask for a list (accounting) of the times we’ve shared your health information for six years prior to the date you ask, who we shared it with, and why. 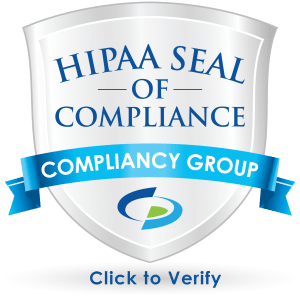 We will include all the disclosures except for those about treatment, payment, and healthcare operations, and certain other disclosures (such as any you asked us to make). In these cases we never share your information unless you give us written permission: 1) Marketing purposes. 2) Sale of your information. 3) Fundraising – We may contact you for fundraising efforts, but you can tell us not to contact you again. 1) We are required by law to maintain the privacy and security of your protected health information. 2) We will let you know promptly if a breach occurs that may have compromised the privacy or security of your information. 3) We must follow the duties and privacy practices described in this notice and give you a copy of it. 4) We will not use or share your information other than as described here unless you tell us we can in writing. If you tell us we can, you may change your mind at any time. Let us know in writing if you change your mind. 5) For more information see: www.hhs.gov/ocr/privacy/hipaa/understanding/consumers/noticepp.html. 6) Changes to the Terms of this Notice. If you think that we have not properly respected the privacy of your health information, you are free to complain to us or the U.S. Department of Health and Human Services, Office for Civil Rights. We will not retaliate against you if you make a complaint. If you want to complain to us, send a written complaint to the office contact person at the address, or fax shown at the beginning of this Notice. If you prefer, you can discuss your complaint in person or by phone. If you want more information about our privacy practices, call or visit one of our offices listed here.